We are Saving a Spot for you! 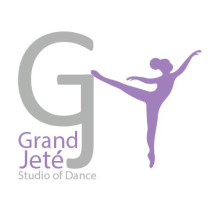 At Grand Jete we provide our students with educated staff and smaller class sizes to ensure personal attention to every individual. There are 3 spacious studios with floating dance floors to reduce the risk of injury. Our waiting room is equipped with video observation for parents and guests to view the classes as they are being taught. We provide monthly newsletters and email any news going on at the studio so our Parents are kept well informed. Passing on our passion of the arts to younger generations is what we strive for at Grand Jete.